Wanted man Daniel Town has been arrested by police in North Yorkshire. 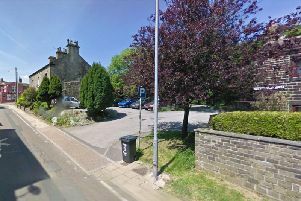 Daniel Town, 29, was arrested in the village of Cayton, near Scarborough, yesterday, as a result of a "proactive operation" by West Yorkshire Police. A public appeal for information on his whereabouts had been issued last month. Police today said that Town remained in police custody and would be recalled to prison. A spokesman said: "He was arrested on suspicion of various offences, including assaulting a police officer, escaping lawful custody, drugs supply and possession, and domestic offences. "He was also arrested on recall to prison in relation to failing comply with the terms of his licence after being released from a custodial sentence last year."